We make softcover, hardcover and spiral books. Quality book printing for publishers and people just like you. We can print 25 to 2000 books at a time. 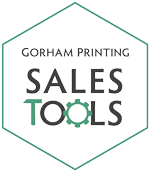 Sell, store and ship your book with Sales Tools.